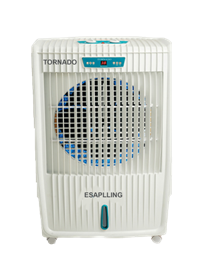 Tornado (ESP_SC_1002)	One of the Top selling product, comes with variants, manual, sem automatic & highend with blue tooth and remote as well. Product has a typical look along with stediness. Polymer body gives a long life, Rogger design with less. Our patented insulated cooler design evolved as a result of our determination to ship perishable food in longer transit times cost-effectively-any time of the year.